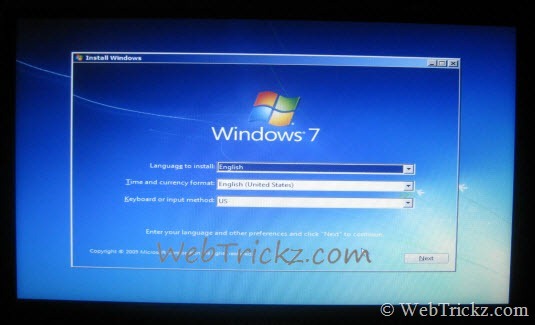 To Install Windows 7 on Netbook, you first need to create a Bootable USB flash drive with Windows 7 because there is no DVD drive in netbooks. Follow our guide to make a bootable Windows 7 flash drive, easily using ‘Windows 7 USB/DVD Download Tool’. 1. Plug-in the flash drive to netbook and make sure the netbook is charged. 2. Power On the netbook and Press the F2 key as you see ‘Samsung logo’ on screen. 3. You’ll now be entered into BIOS of netbook. Open the ‘Boot’ options and then open ‘Boot Device Priority’ using Enter. 4. Using the F5/F6 keys, move the “USB HDD” device to 1st position as shown below. 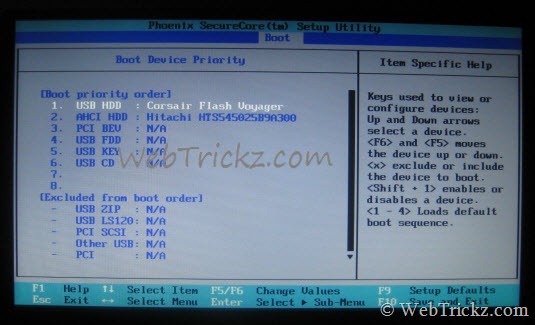 Use F10 to save the Bios settings. This is all done to let the netbook boot from USB flash drive. On restarting, netbook will boot via USB drive and Windows 7 Installation screen will appear. Install the Windows 7 edition (Starter, Home Basic or Home Premium edition are recommended). Using the above steps, move back the ‘AHCI HDD’ to 1st position under the boot device priority in BIOS. 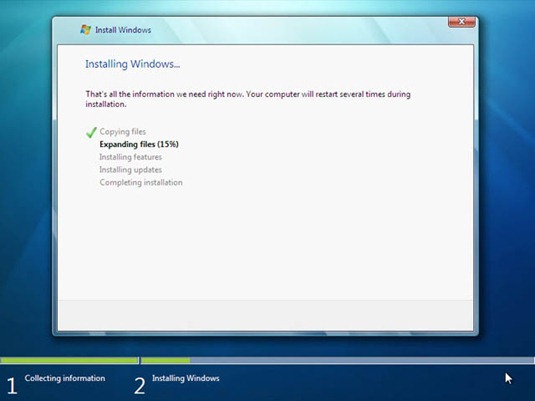 On restarting, the ‘Install Windows’ box will appear and 5th step i.e. Completing installation will continue to run. Be patient and let the process to complete! On completing the final step, Windows will ask to enter a username and PC name. That’s it, you’ve successfully installed Windows 7 on your netbook. Install the Drivers, software and Updates in Netbook – After Windows is installed, it’s time to install the drivers and software. 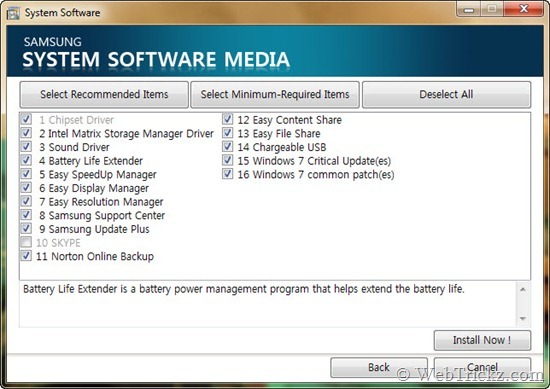 Samsung provides a DVD with “System Software Media” that lets you install the device drivers and software, all unattended. You can copy the full content of Samsung DVD to a USB drive using a PC. Then, open the SoftwareMedia.exe file to install the device software on netbook without DVD.